Than In His Homeland ! Living On The Margins of Society ! He Would Have Been 104 Today ! 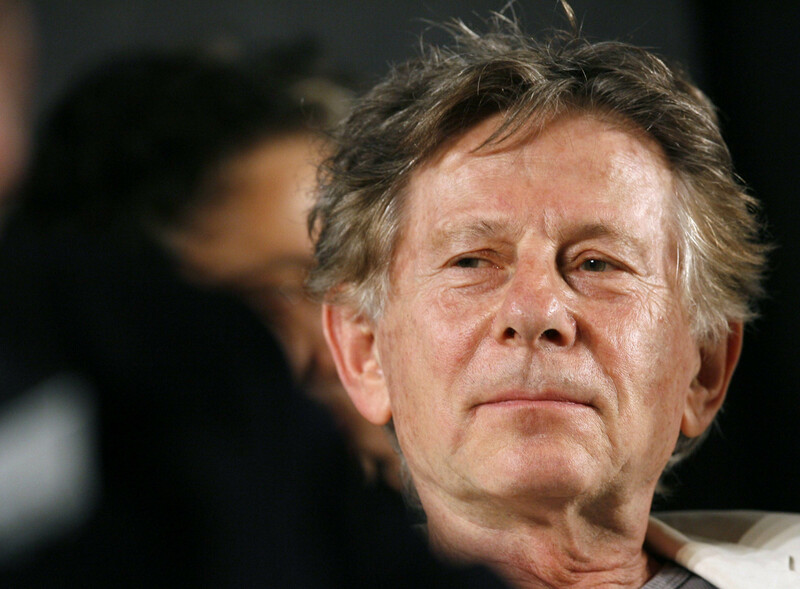 HAPPY BIRTHDAY, ROMAN POLANSKI ! World of Cinema For Long ! and His Film The Best Movie. . .! At Large Is Concerned ! Unto His Limbs n Latitudes ! HAPPY BIRTHDAY, MAE WEST ! 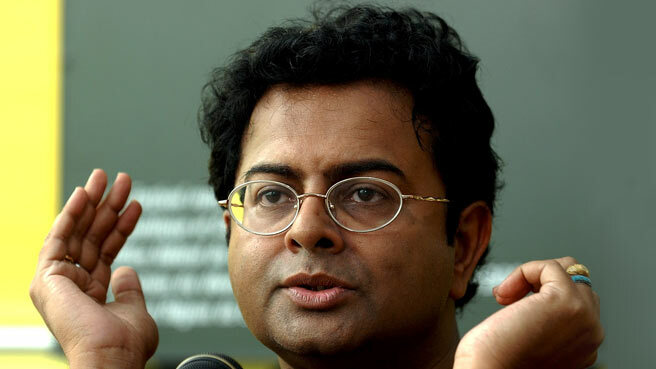 RITUPARNO GHOSH, ICONIC INDIAN FILMMAKER DIES AT 49 ! weeks ! He Died of A Heart Attack. April 7, 2013 April 7, 2013 MRITYUNJAY JHA FILMS, POPULAR PERSONALITY. 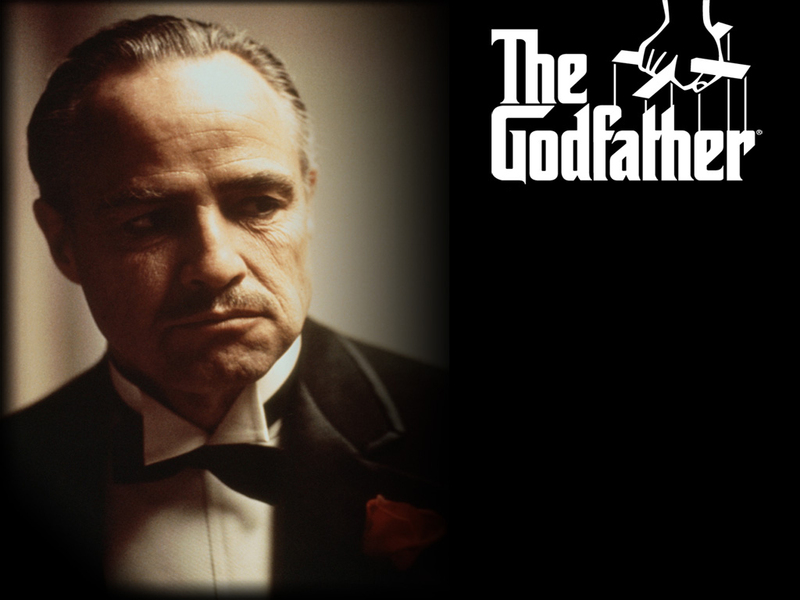 FRANCIS FORD COPPOLA,THE GODFATHER FAMED FILMMAKER,IS 74 TODAY! CINEMA for once and for all ! Cult Cinema in Gangster Genre ! He Turns 74 Today ! January 20, 2013 January 20, 2013 MRITYUNJAY JHA CELEBRITY, FILMS, POPULAR PERSONALITY. HAPPY BIRTHDAY, FEDERICO FELLINI, THE GREAT ITALIAN FILM-MAKER ! HAPPY BIRTHDAY, FEDERICO FELLINI, ITALIAN FILM DIRECTOR AND SCRIPTWRITER ! He Is Universally Regarded As One Of The Top Ten Film-makers Of All Time! Fellini Wrote n Directed Some Of The Finest PostWar Movies Like ‘LA DOLCE VITA’ , ‘LA STRADA’ , ‘8-1/2’ , ‘NIGHTS OF CABIRIA’ , ‘AMARCORD’, ‘ROMA’ . . . . .et.al ! He Won Multiple Oscars And Held The Oscars As The Supreme Prize In The Mythology Of Cinema! Fellini During His Earlier Phase That Ended In 1959, Was Highly Influenced With The Neorealism Of Italian Cinema Best Championed By Roberto Rossellini With Whom Fellini Had Worked For The Masterpieces Like ‘ROME,OPEN CITY’ n ‘PAISA’ . During Sixties-a period that was sort of the Watershed In Fellini’s Film making, he took to Jungian Psychology That Had Advocated The Exploration Of Two Primal Motivator In Human Existence, ANIMA n ANIMUS or ARCHETYPES n COLLECTIVE UNCONSCIOUS ! Fellini’s 1965 Masterwork, JULIETTE OF SPIRITS, Best showcased the roles of memories, dreams and reflections in shaping up human existence. The Best Fellini’s Film Is ‘ 8 1/2’ also explores the realm between The World Of Vision n Reality. 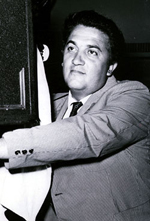 Federico Fellini Won 5 Oscars And Had Set A Record Of Winning The Highest Number Of Oscars For Foreign Language Film Category. He Influenced Directors Like Stanley Kubric, Martin Scorsese and Other Notables Including The Great Ingmar Bergman. Fellini Died In 1993 At The Age Of 73 In Rome. His Legacy Remains Inspiring For Film makers From All Over The World ! He Would Have Been 93 Today ! November 17, 2012 November 18, 2012 MRITYUNJAY JHA CELEBRITY, FILMS, MUSIC, Music n Art, POPULAR PERSONALITY. MARTIN SCORSESE,THE LEGENDARY FILMMAKER, TURNS 70 ! One of the greatest film makers of all time, Martin Scorsese with his reputed reportaire of films,has become a living legend in the world of cinema!He started his film career in the early 70s and has since been churning out movies one after another with an enviable success rate. Martin was born in Queens,NY and had his early schooling in Bronx,NY and wanted to be a priest .Later he got enrolled at the Tisch School Of Films and did an MFA there.It was during that tenure at the NY UNIVERSITY that he started making short films and after a couple of years there he finally made his debut, ‘WHO’S THAT KNOCKING AT MY DOOR?’ in 1973.It was modestly accepted.Then came 1976 when Martin Scorsese made ‘TAXI DRIVER’ which broke new grounds in the way film was being imagined and presented ! He collaborated with actor,ROBERT DE’ NIRO with whom Martin made as many as 8 films and the pair became great friends!He did the same with actor,LEONARDO Di Caperio. ‘GOODFELLAS’ , ‘THE LAST TEMPTATION OF CHRIST’ , ‘RAGING BULL’ , ‘THE COLOR OF MONEY’ , ‘THE GANGS OF NEW YORK’ , ‘THE AVIATOR’ , ‘HUGO’ , ‘THE DEPARTED’ are some of his signature movies. Martin Scorsese often explored the themes of Italian Identity In America, The Culture Of Violence or The Dark Motifs, Major Personas From Various Fields (biopics) et.al through his films. Biopics Is A Well Explored Genre For Scorsese (RAGING BULL, THE AVIATOR. . .etc). His innovative ways of characterization is so powerful that audiences can’t help sympathizing even with a villian in his films ! His mastery lies in exploring the subconcious dark terrains of human psychology! He has also a great passion for music, and in fact,as once he said,he wanted to compose music.His this passion had impelled him to do some finest documentaries dealing with famous musicians or bands.’THE LAST WALTZ’ , ‘NO DIRECTION HOME’ , ‘SHINE A MUSIC’ are some of the best documentaries that dealt with the music band(THE BAND), BOB DYLAN, ROLLING STONES respectively. ENTERTAINMENT WEEKLY placed MARTIN SCORSESE at 4th(FOURTH) Position in its list of 100 BEST MOVIE DIRECTORS OF ALL TIME! ‘ESQUIRE’ Magazine placed him at 5th(FIFTH) Position in its List of 250 MOVIE DIRECTORS OF ALL TIME! Simply Put, MARTIN SCORSESE HAPPENS TO BE AMONGST THE TOP5 MOVIE DIRECTORS OF ALL TIME! His Three Masterpieces Invariably Make Places Amongst The Top 100 GREATEST MOVIES OF ALL TIME : ‘TAXI DRIVER’ , ‘GOODFELLAS’ and ‘RAGING BULL’! He was 7 times academy nominated and won the best director for his multistarer movie,THE DEPARTED ! MARTIN SCORSESE WAS BORN ON NOVEMBER 17 , 1942.TODAY HE TURNS 70. HAPPY BIRTHDAY, MARTIN SCORSESE !! . . . . . . . . . . . . . . . . . . . . . . . . . . . . . . . . .. . . . . . . . .
November 9, 2012 November 9, 2012 MRITYUNJAY JHA ART AND ARTISTS/LITERATURE, ART N LITERATURE., FILMS, POPULAR PERSONALITY. AMERICAN NOVELIST, PHILIP ROTH, ANNOUNCED HIS RETIREMENT ! PHILIP ROTH, IS ARGUABLY ONE OF THE MOST SUITABLE AUTHORS TO BE CALLED AS ‘NOBEL LAUREATE’ . . . .BUT,THE NOBEL COMMITTEE HAS GOT A FAIR SHARE OF NOTORIETY FOR MISSING AUTHORS WHO ARE THE BEST OF THEIR TIME ! PHILIP ROTH ANNOUNCED HIS RETIREMENT AS DISCLOSED IN AN INTERVIEW THAT THE AUTHOR GAVE LAST MONTH TO A FRENCH MAGAZINE! !THE INTERVIEW CARRIED IN THE ‘Les InRocks’ AND LATER TRANSLATED BY THE AMERICAN MAGAZINE, ‘SALON’ , HAS GRIPPED THE WORLD OF LITERATTI ABOUT THE IMPORTANCE OF MR. ROTH AND HIS GREAT CONTRIBUTION TO THE SUPERB AMERICAN TRADITION OF NOVEL WRITINGS OF F.SCOTT FITZGERALD,FAULKNER,SAUL BELLOW AND THE LIKES! HE SAID HE WOULD NOT PEN ANYTHING OR READ ANYTHING. . .HE HAD ENOUGH OF ALL SUCH STUFFS OF READING,WRITING AND TEACHING! HE PLANS A CONTEMPLATIVE AND PEACEFUL DAYS AHEAD IN ORDER TO REFLECT WHAT HAD HE ATTAINED IN LIFE AND WAS THAT WORTH ATTAINING ! ‘NIMESIS’ (Published in 2010) WILL BE HIS LAST BOOK! PHILIP ROTH HAD HIS LITERARY DEBUT IN 1959 WHEN HIS BOOK,’GOODBYE,COLUMBUS’ PUBLISHED.BUT ,IT WAS A DECADE LATER THAT MR. ROTH GAINED AN INTERNATIONAL RECOGNITION AFTER HIS BOOK, ‘PORTNOY’S COMPLAINT’ GOT PUBLISHED.HIS ANOTHER NOTABLE CREATION, ‘THE HUMAN STAIN’ WAS LATER ADAPTED FOR AN EPONYMOUS FILM STARRING ANTHONY HOPKINS AND NICOLE KIDMAN.HIS LAST BOOK, ‘NEMESIS’ WAS PUBLISHED IN 2010.MR. ROTH SAID THAT HE HAD NOT WRITTEN ANYTHING IN THE LAST TWO YEARS POST ‘NEMESIS’ AND HE WOULD NOT WRITE ANYTHING ANYMORE!HE TOLD HE HAD ENOUGH AND HE DIDN’T FEEL ANY FANATICISM TO WRITETHAT HE HAD EXPERIENCED IN LIFE. PHILIP ROTH IS 79 AND HAS ALWAYS BEEN ONE OF THE MOST HOPEFULS FOR THE LITERATURE NOBEL FOR A DECADE OR SO! HOPEFULLY ,THE NOBEL FOUNDATION WILL DO JUSTICE TO MR. ROTH ! WISHING HIM A BLISSFUL TIME AHEAD! HAPPY BIRTHDAY, SOPHIA LOREN ! SOPHIA LOREN,THE ITALIAN DIVA AND ONE OF THE MOST BEAUTIFUL WOMEN OF WORLD CINEMA, WAS BORN THIS DAY, SEPTEMBER 20, 1934 IN A SUBURB OF ROME,ITLAY. SOPHIA LOREN GOT INTERNATIONAL ACCLAIM IN THE SECOND WORLD WAR BASED MOVIE, ‘TWO WOMEN’ IN 1961.SHE GOT AN OSCAR FOR HER LEAD PERFORMANCE IN THAT MOVIE.SHE BECAME THE HIGHEST PAID ACTRESS IN 60s AND RULED THE WORLD OF CINEMA AS ONE OF THE MOST SOUGHT-AFTER FEMALE LEAD. Despite international fame n stardom,she never forgot her humble origin and remained rooted in ground. She continues to be admired for this humility plus simplicity of her persona! She was born to an unwed mother in a charity-hospital and had to endure the hardships and abject poverty during the second world war and after. Her father had married another woman and she was largely raised at her grandparents’ ! She was introduced to the Italian movies by her mom who carried her on an advice of her well-wisher. A young sophia of 15yrs given a role as ‘extras’ in a film.She stayed and got other roles till the movie, Aida. Aida brought loren to the centrestage and she got a foothold in internation scene. Sophia Became The Queen Of International Cinema In The Sixties. When She Got The Oscars,She Became The First Actress Of A Non-English Language Film To Get The Oscars! She,in the seventies,became the first actress to launch her perfume line. She most recently appeared in the multi-starres movie, NINE. When Born,The Nurse Reportedly Had Said She Had Never Seen Such An Ugliest Baby In Her Life ! Poor Creature! SOPHIA LOREN WAS FETED TO BE AN ICONIC BEAUTY AND ONE OF THE MOST BEAUTIFUL WOMEN OF ALL TIME ! September 1, 2012 MRITYUNJAY JHA CELEBRITY, FILMS, POPULAR PERSONALITY. HAPPY BIRTHDAY, KEANU REEVES ! HAPPY BIRTHDAY, KEANU REEVES !.